Hey everyone! Remember back on February 12 when I told you I was participating in Epic Recs? This a really fun online book club idea hosted by Judith at Paper Riot and Amber from Books of Amber. If you’re interested in more info and the rules and whatnot, check out Judith’s post here. This month I was paired up with the AWESOME Kim from The Avid Reader. 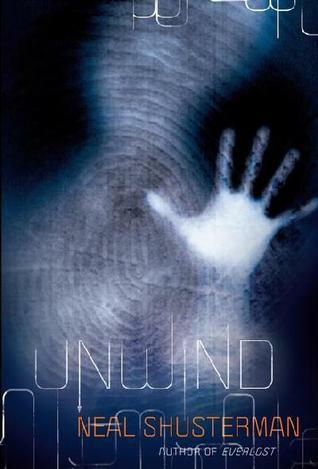 She recommended that I read Unwind by Neil Shusterman. I have read it and now I am here to review it! Let me just say up front, though, that I am really grateful to have been paired with Kim. She was really fun to start catching up with on Twitter and her blog is great. Plus she had such a great recommendation for me this month! Thanks, Kim! From Goodreads: The Second Civil War was fought over reproductive rights. The chilling resolution: Life is inviolable from the moment of conception until age thirteen. Between the ages of thirteen and eighteen, however, parents can have their child “unwound,” whereby all of the child’s organs are transplanted into different donors, so life doesn’t technically end. Connor is too difficult for his parents to control. Risa, a ward of the state is not enough to be kept alive. And Lev is a tithe, a child conceived and raised to be unwound. Together, they may have a chance to escape and to survive. I was very glad that Kim suggested this read to me, because it’s really not one I probably would have picked up and prioritized on my own. I don’t personally choose to mix my politics with, well, anything, so the summary of this book had always kind of turned me off a little. Basically, in this book there was a huge War fought over the right to have abortions. The “compromise” that they came up with outlaws abortions, but permits a child to basically be killed — oh, sorry, “unwound” — at the request of their parents anytime between the ages of thirteen and eighteen, and their organs to be repurposed in others through organ donation. As a result, there is almost no ailment or physical deformity that cannot be cured — assuming you make it past the age of eighteen, of course. If you make it past the age of eighteen without your parents requesting that you be unwound, you are home free, but if your parents make the request, it cannot be taken back and there is basically no escape. No one really understands the unwinding process or how it works, but there are starting to be hints and rumors that not all is what it seems. The story follows three protagonists who have all been selected to be unwound — Connor, Risa and Lev. All have been selected for unwinding for different reasons: Connor because of behavioral issues, Risa because she is an orphan and hasn’t proven to be of any particular special worth and Lev because he was the tenth child in his family and was conceived for the specific purpose of unwinding as a religious tithe. Connor is horrified at the prospect of being unwound and goes on the run. While he is in the process of running from the police, he causes a car accident that allows the paths of all of our protagonists to cross, and they all start traveling together. Both Connor and Risa are horrified at the prospect of being unwound, but Lev is devastated to have been swept up in this escape process. All of his life he has been taught that being unwound as a tithe is an honor and a good thing to do, so finding himself in the company of two deviants is pretty much more than he can handle. The rest of the book follows the paths of Connor, Risa and Lev as they continue to try to escape their unwinding fates, get to know more about each other and develop their own feelings about and opinions on the society they live in. So what did you think? Overall, I really “enjoyed” this book. I thought the character development that each of our protagonists go through was totally believable and well-thought out. Shusterman writes each of these teens so well and so believably that it is very easy to put yourself in their shoes. Overall, while Lev wasn’t my FAVORITE character, I personally connected to his character development arc the most. Connor was also very interesting, but I guess I wanted a bit more from his background to understand WHY he was being unwound in the first place. Risa was probably the least-well explored and developed, for me. I also really loved the side characters we came across. At one point, for example, Lev parts ways from Connor and Risa and ends up traveling with a boy named Cyrus Finch, or CyFi. He was probably my favorite part of the entire book and I thought that the side plot and exploration of organ memory was so freaking well-done. Ok, Emily, why the quotes around “enjoyed” then? This book was absolutely freaking horrifying. It was just so difficult to read. The society, though in some ways so totally UNbelievably terrible, is so clearly drawn that it seems more possible than you would like to admit. There is one chapter in particular (and if you’ve read this book I guarantee you know what I mean) that was just gut-wrenchingly awful — I still find myself thinking about it, and it was one of the more difficult things I’ve ever read. Since Shusterman’s writing is so clear and detailed, you get drawn totally into this terrible world, and that was actually really tough. I did have a few small issues with this novel — there were a few expansive tangents on the background of the War and the politics underlying everything that I thought drifted a bit into preaching. I skimmed them, mostly, and didn’t think they added a lot to the novel. In fact, they often took me out of the storyline. I thought there were parts of this book that could make people even more squeamish about organ donation than some people already are. I don’t know that Shusterman meant to do it that way (in fact, there was one line where he basically says “if more people donated organs, this [dystopian society] never would have happened”), but some parts surrounding organ donation and unwinding were so terrible and graphic, I do fear it could be taken the wrong way. Overall, I really thought this novel was worth a read, but it is TOUGH to read. Shusterman’s writing is really beautiful and the novel is well done and makes you think. I think this would be the perfect novel to read with a group, because there is just so much to talk about, much of which is hard to cover in a spoiler-free review. I am not in a hurry to move on in the series just because I think I need to recover first. That being said, I will finish out this series at some point because Shusterman is a master and I need to see what happens in this world. I am so freaking excited! 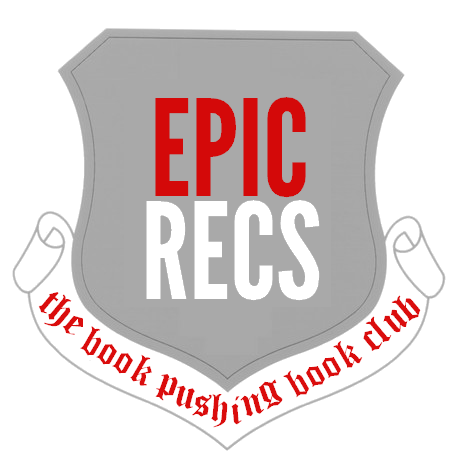 This is my first time participating in Epic Recs, which is a really fun online book club idea hosted by Judith at Paper Riot and Amber from Books of Amber. Basically they recommend books to each other every month that the other one has to read and review. And they’ve opened this awesomeness up to others to participate in and they will even pair you up with someone who’s reading taste they think goes along with yours. Can we just talk for a second about how awesome this is? If you’re interested in more info and the rules and whatnot, check out Judith’s post here. This month I was paired up with the AWESOME Kim from The Avid Reader. Not only have I gained a really awesome book recommendation, but another really awesome bookish friend! You should definitely check out her awesome blog if you haven’t already for some really amazing YA recommendations. So what are we reading this month? 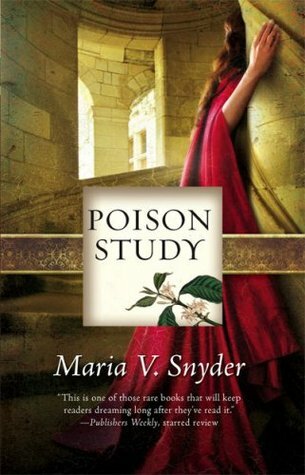 I checked out her shelves and IMMEDIATELY knew I had to push Poison Study by Maria V. Snyder. It fit right in with her love for strong female leads, YA slow-burn romances, and desire to start a new series. I really hope she loves it – I sure did! I am super excited to dig into this one! Come back at the end of the month to see how we liked them and in the meantime, check out Kim’s Epic Recs post here! My New Blog Home – I’m Moving (with a GIVEAWAY)! Epic Recs (2): March with Danie!